A couple of weeks ago, Andres & I went pumpkin picking at Harbes Family Farm. 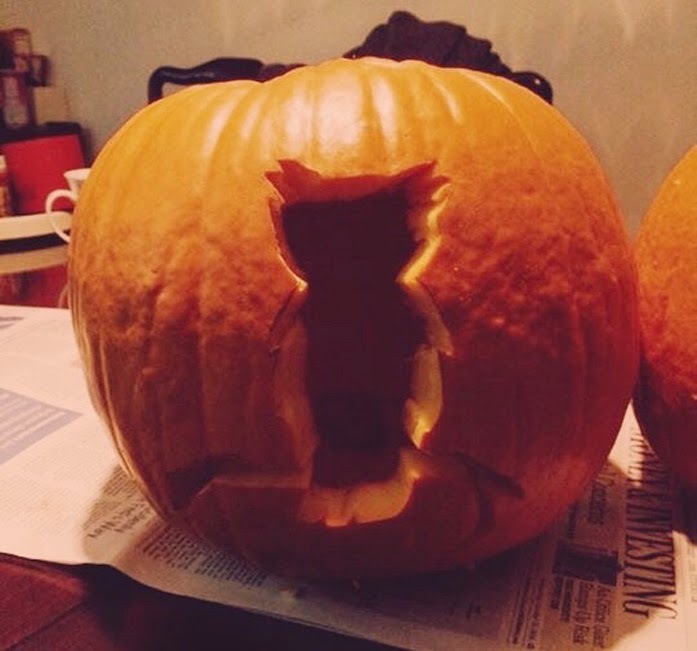 We took those pumpkins and carved them for the first time together. So, the stencils we printed were just a little bit too large so I just drew on the patterns by hand in a smaller scale. 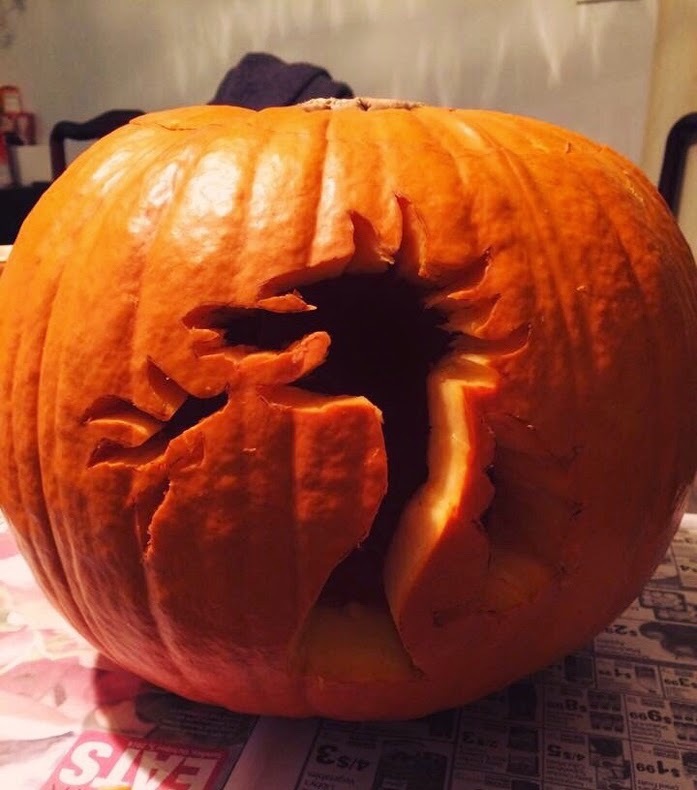 The last time I carved a pumpkin was when I was about 10 years old, so it was fun gutting it and attempting to carve out the more intricate details with just an Exacto blade and a knife. (We didn't bother buying the carving tools.) Turned out pretty okay! 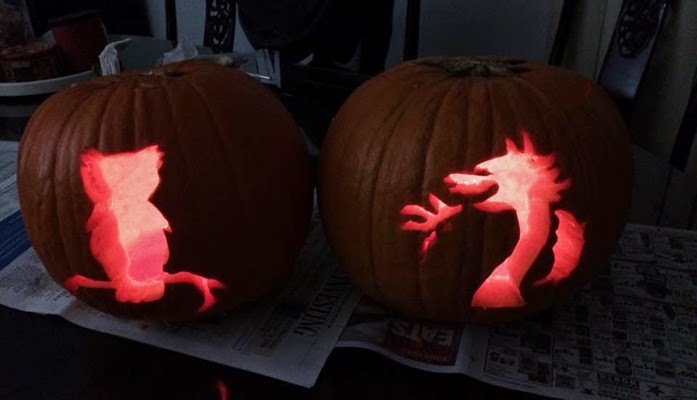 Do you carve pumpkins? If so, what did you make? We drew on our pumpkins this year. Yours are so cute!